On Wednesday (May 23) a venture cannabis company announced a partnership with an up and coming retail operator to enhance retail distribution and create branded cannabis lounges. The partnership is between Newstrike Resources (TSXV:HIP), who made an official a strategic investment partnership with Inner Spirit Holdings. According to the announcement, both companies will obtain equity interests in the other and begin working on the retail distribution of Up Cannabis, Newstrike’s main recreational brand, products. The partnership will also work to develop “experiential hubs” for future consumers. “We look forward to working with Spiritleaf to enhance Up’s distribution reach and successfully building our businesses in a complementary and strategically aligned manner,” Jay Wilgar, CEO of Newstrike said in a statement. Read our report to find market data, important news and stocks to watch! This partnership will cost Newstrike approximately and aggregate value of C$1.12 million worth of shares at C$0.90 per share plus C$1.125 million in cash. Newstrike’s previous closing price for Wednesday was C$0.87 per share. As part of the deal Inner Spirit will issue 15 million units of the company, at a price of C$0.15 per unit, to Newstrike during the company’s proposed initial public offering. Last November, Inner Spirit announced the execution of 55 franchise agreements across Canada with the intention to convert these into legal recreational cannabis dispensaries. The retail cannabis space company boasts of owning a membership to the Canadian Franchise Association and working on the development of over 100 franchises. Following Wednesday’s announcement, shares of Newstrike dipped 18.39 percent to $0.71 as of 2:49 p.m. EST on Thursday (May 24). 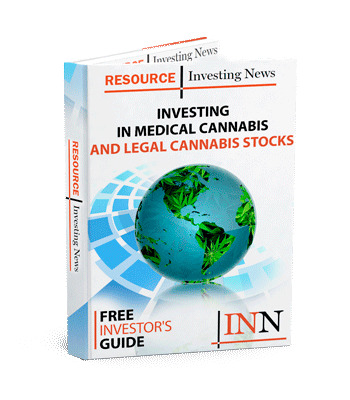 The post Newstrike Inks Retail Distribution Deal with New Dispensary Operator appeared first on Investing News Network.